This post includes affiliate links. We earn a small commission if you purchase something over one of those links. 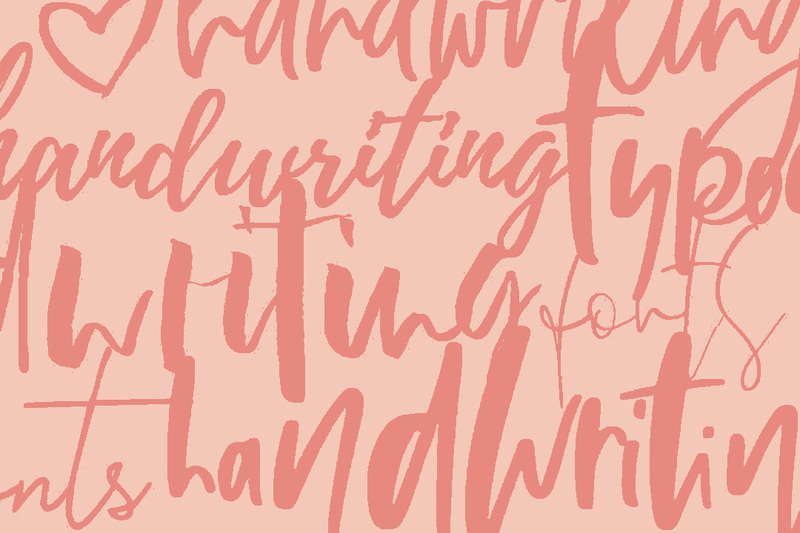 As my post on my 14 Favorite Fandwriting Fonts was so incredibly popular (and still is), I decided to do another one – but this time I want to focus on fonts that are totally free to download and use. Many designers publish free test versions of their pro fonts, which are ideal to try out special font combinations for your branding and later decide if you want to make the investment in a premium font. And there are even some font designers who give out their fonts free for commercial use. As I’m selling digital products myself, I think it is always worth investing money in properly designed goods for branding and design – but of course, I also like freebies! The following gives you an overview over the 20 best free handwriting fonts I found all over the web (for personal and/or commercial use, I added the license type with each font below). If you don’t know which license you actually need, check my little guide below. But please bear in mind that every font license is different and some use cases can be excluded in a particular license. A personal licensed font can be installed on your computer or used as a webfont – but only for your personal purposes. If you can use it as a logo font for your blog is subject to the exact license and you should definitely ask the creator beforehand or read the license agreement carefully. If you want to make money directly with a font, or use the font indirectly in a project that is somewhat commercial, then you need a commercial license. This is especially true if you use a font for work you do for a client.